Print off the Cord Keeper Template. 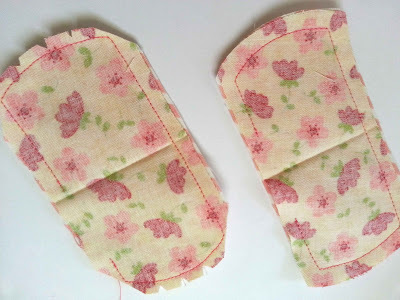 Apply medium weight fusible interfacing to the back of one piece of scrap fabric. 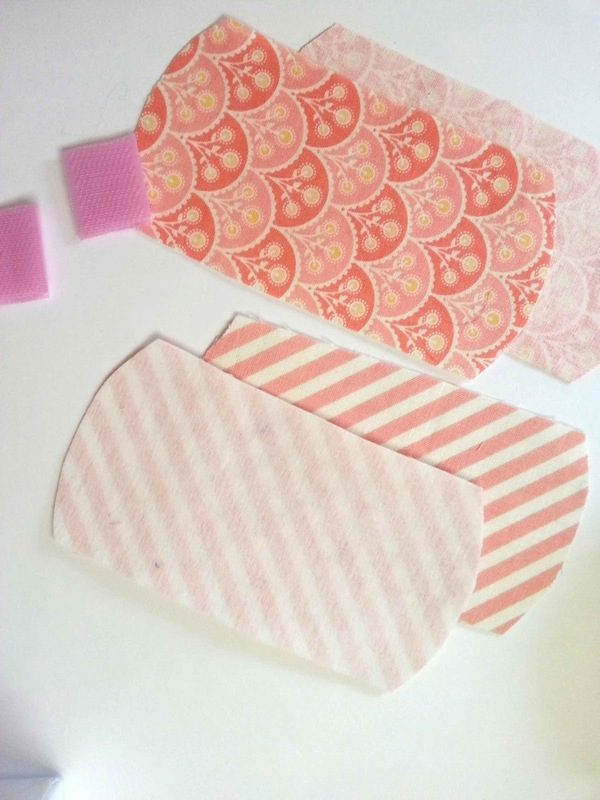 Cut one piece of interfaced fabric with the template, and one without. You will need 2 total pieces of fabric for each cord keeper. Cut two small 1 inch pieces of velcro. Place the two fabric pieces with right sides together. Stitch around the fabric pieces, 1/4" from the raw edges, leaving 2 inches or so open for turning. Clip the corners close to the stitching line. Notch the two curved ends of the cord keepers. Turn the cord keepers right side out through the open space. Press. 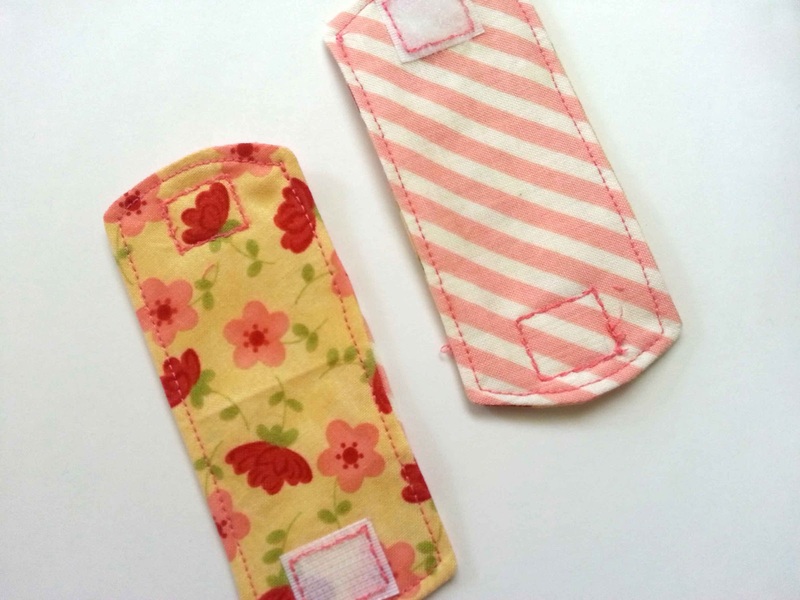 Stitch 1/8" away from the pressed edges, to both secure the layers, and close off the open turning space. Attach the velcro pieces to either end of the cord keeper. One side should go on the front, and one on the back. 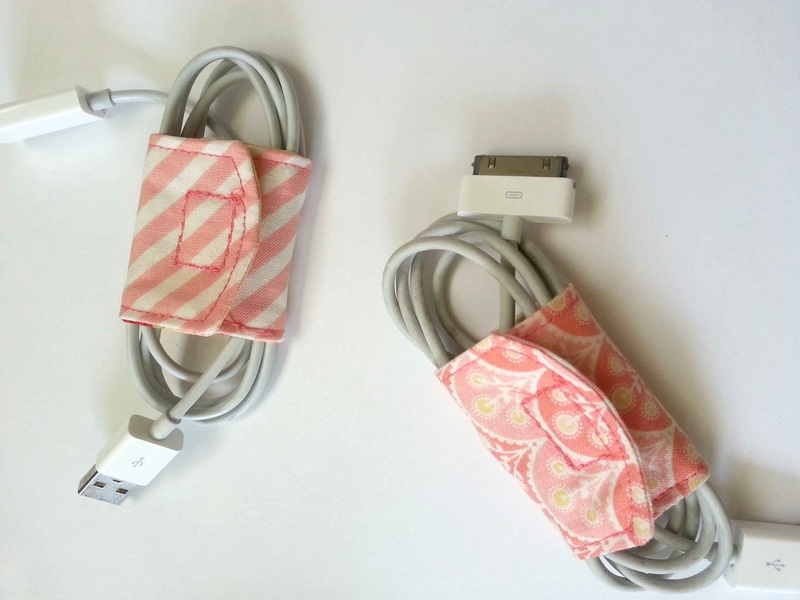 Wrap around your cords and chargers to keep things nice and tidy. Who doesn't like a bit of organization? Some of you have had trouble opening the template. Here are the dimensions: 2 3/4"x 4 3/4". Ends are rounded. What a clever solution. They're super pretty too. I do love a bit of organisation....even better, such pretty organisation! What size/kind of needle do you use to attach the velcro? I'm assuming a regular 90/14 might break. I'm a bit new to sewing and have already broken 2 needles, haha. Learning experience. This is a great idea but how do you keep the cords from slipping out? I usually tie the plastic tie to just one of the wires just below the plus and then wrap that same thing around the entire folded cord. That way it doesn't come undone and your plastic tie is always there to be used again. You never untie it completely from the cord. Meant to say "just below the plug and then wrap that same "tie". Sorry about that. I love the little cord keeper. I made one and then machine embroidered the name of the cord on it. I am going to make one for all of my devices and then when there is an empty cord keeper I will be looking for it because I am always leaving them all over the house. But, maybe not now if I throw them all neatly in a cord keeper, in a basket. Great idea! Love these! There are some many tangled cords in my closet that need some. Thanks for sharing. I made six of these for my mother. Within hours she had used them all and was wondering when I could make more. I'll be making more soon. Thanks so much for the tutorial these are genius! To keep the wrap always attached to the cord even when it is in use, add one more step at the end. Make 2 button holes in this orientation | | and run the cord through them. Make the buttons the width of the narrowest plug. i can't seem to get the template to print correctly...can you give me measurements? would love to make a bunch! I can't get the template to open. Can you give me measurements? For those of you that can't open the template: The dimensions are roughly 2 3/4x 4 3/4 with rounded edges. Hope that helps. What a great idea and also thanks to Anonymous for the buttonhole idea. You might want to turn the Velcro 90 degrees so that the circumference when closed can be adjusted a little bit. Will make one to match my mixer cover to keep its cord nice and neat, too. Good thing I have a few more excess dressmaking fabrics that I can use for this project. This craft is great way to avoid tangled chords or cables. Fabulous! Who do I know who DOESN'T need several of these for Christmas?? NOBODY! This is very cool, you could even go so far as to place a label on it for which cord it would belong to. So many cords I forget what they belong to. Normally I label them with a self adhesive label, but they eventually fall off. So this would be a cool way to get around that. Thanks so much for sharing your tutorial. For those having trouble viewing the template, I was having trouble also until I signed in to my Google account and then I was able to view no problem. I'm looking forward to making these!! Love this! Perfect stocking stuffer gift for everyone in my family! Thank you! I embroider the item names on the ones I made also. (Camera,I-Pad and Phone.) It's So nice to grab the right cord the first time. Thanks again. Can you tell me what brand of interface you like to use ? Mine seems to be too light. Ipntexas, I believe I used Pellon medium weight, which I picked up at my local Joann's Fabric. If your fabric is lighter weight then you may need to add a heavier interfacing for more stability. Hope that helps. I was wondering if there was a specific kind of fabric you used for this. 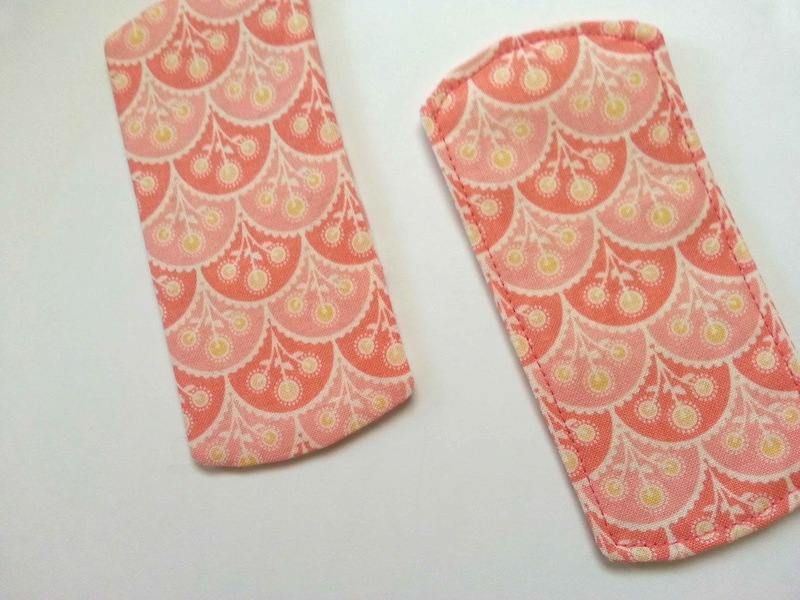 Perfect timing, going on a trip and needed something pretty to wrap the iphone, ipad, etc. chargers! I have a big basket full of fabric scraps and I'm always looking for things I can use them for. I saw the Cord keeper and wanted to make it... AND so I DID! What fun to do and the outcome is even more fun! I did add an extra step though. I added a strip of clear plastic vinyl across the outside top. with the cord name. I.E. "Victoria's ipad". It was so fun and easy that I will be making 30 of them. Thanx for the generous share of the pattern. Thanks for the GREAT idea! Love it! A mobile phone can do different type of task and it is not just limited to calling. It can control your work schedules, you can write your important notes on it, has in-built calculator, applications, an alarm clock, and you can also access the internet. Some attractive feature that came out in latest phones is the skill to use your computers. One just wants the suitable mobile phone data cable to attach to your system from anywhere in the world. Smartphone can be utilized as wireless modems in case you have utilized the correct connection. Thanks for this great idea ! I tried it and love it ! I have a box full of power cords and was using eleastic bands which are ok until you go to untie them - nightmare! 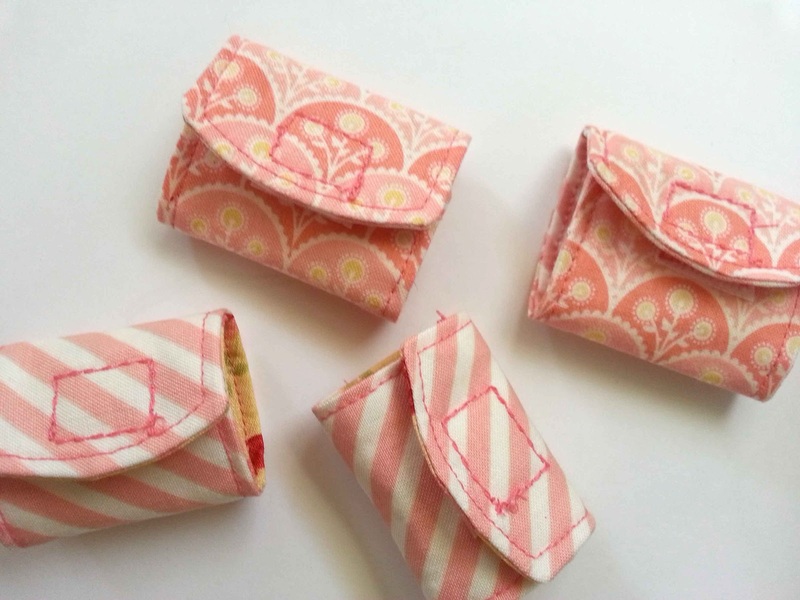 I am going to make some of these and also look at other uses as there are plenty with different sizes and designs. Not only has this solved a problem for me but will make a great article on my web site http://craftsfinder.com to find different applications for this really useful idea. Thanks so much!! I'll give them a try for charity fund raising. This is GREAT! And so easy! 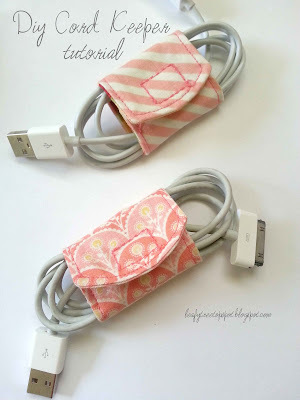 I'm sewing things for our upcoming Disney trip and this will make packing those cords A LOT easier! I just made mine out of Disney fabric (one's Mickey Mouse and another is Tinkerbell). It's also nice because it's things like this (in Disney fabrics) that save A LOT on souvenirs at Disney World! It's definitely a win-win! Hope you don't mind the publicity, but I posted the link for your tutorial on a Disney Group Facebook page along with a photo of the Mickey one I made. People are tagging others so many will see this. They love this as much as I do! I would like to modify this ever so slightly to secure the wrapper around one end to keep the wrapper attached to the cord. I’ve noticed with my laptop power cord, the cord wrapper remains on the cord for easy retrieval. I only just recently realized how much nicer it is to keep cords neatly wrapped. My husband has been trying to convince me of this for years! Happy wrapping! Is it ok to sell these at a craft fair or online if we identify with your blog name? This is really great,unique and very informitive post, I like it.